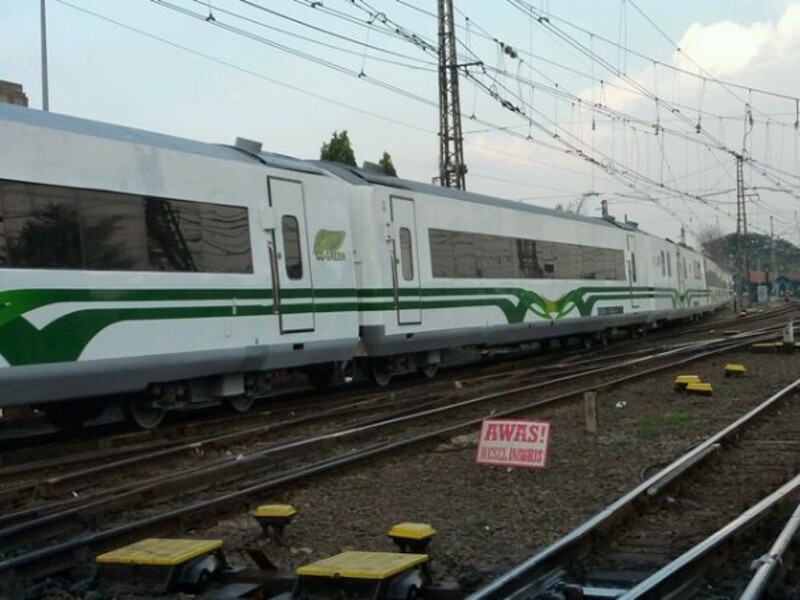 Argo Bromo Anggrek train is an executive -class train serving Pasar Turi Station Surabaya - Gambir Station and vice versa. This train travels a distance of about 725 kilometers in about nine hours. Argo Bromo Anggrek train was inaugurated on September 24th, 1997. Argo Bromo Anggrek train itself is a development of Argo Bromo JS - 950. The name Bromo on this train comes from the name of Mount Bromo, one of the well-known mountains in Bromo Tengger Semeru National Park area, East Java. Just like Argo Bromo Anggrek Pagi, the train consists of five to seven executive -class train carriages, a dining carriage/restoration and one generator carriage. Each Argo Bromo Anggrek train carriage has 50 passenger seats and comes with a static table and footrest installation. In addition, it is also equipped with Air Conditioning (AC) and audio/video in each train carriage.